Oregon is facing an expensive absurdity where the state itself expects between 60-65% of students to not pass the new Smarter Balanced Assessment test taken statewide this school year. These tests don’t help teachers improve instruction in the classroom. The results are too vague. Do you think the Smarter Balanced Assessment has been proven to work anywhere? No, it has not. It’s a new program, yet several states have felt pressured to pay for the test and new computers and to waste even more time prepping students for these tests instead of regular teaching instruction. Students are overwhelmed and frustrated. We have a new blog post at Oregon Save Our Schools that covers a great deal about why opting-out of high-stakes testing is so important. Why is Oregon doing this? One big component: testing companies need more student data. Students are guinea pigs. Testing companies get to use our students to put their product on trial — at the expense of taxpayers, money not going into the classroom, and children feeling stressed and demoralized. We need legislators and elected leaders to see these efforts as the boondoggle they are. Please contact them. At the very least, opt-out your student to show this system is not acceptable, and you will not allow your child to become a guinea pig. 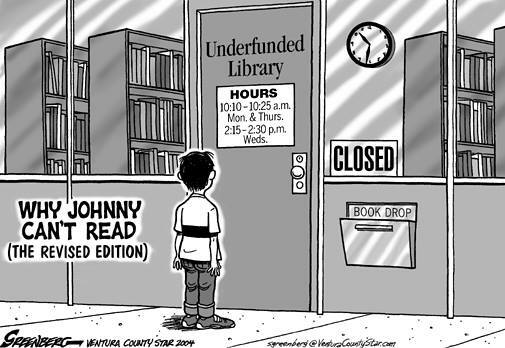 We need school libraries reopened and school librarians restored. We don’t need more testing-only computer labs and classroom instructional days lost to high-stakes testing and test prep. November 3, 2014 optoutoregon Common Core, Education, Testing	nclb no child left behind houston atlanta washington D.C. The standardized testing you remember as a kid worked as intended: a quick read on how things were going on a particular day. The principal and district looked at the scores and maybe compared them to previous years. 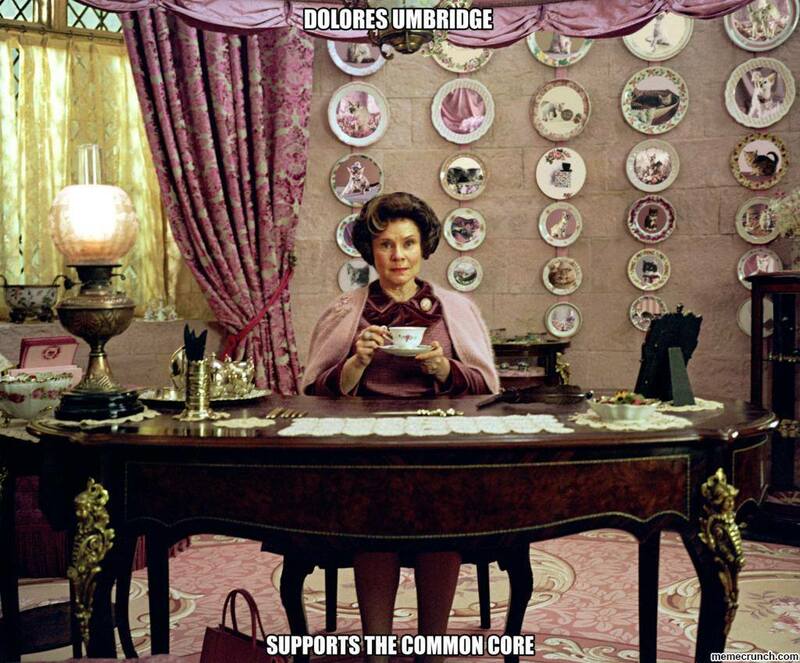 But now the stakes have risen, and our schools are worse because of it. High-stakes testing, basing the existence of a school or principal’s job or teacher’s evaluation on a test score, does not work. It is not supported by research. Even worse, when jobs are on the line, human nature is to game the system to preserve jobs and schools. As the stakes escalate, cheating starts. This has happened in Atlanta, and also in Washington D.C. in recent years. It may even have happened in Portland. No Child Left Behind (NCLB), started in 2001 and supported by both major parties, was a national fiasco that pushed high-stakes testing and set the stage for the test-and-punish approach we see today. NCLB did not help schools, it degraded schools, especially schools with high student poverty, and it was based on a lie. NCLB was copied from the so-called “Texas Miracle” led by then-Superintendent of Houston Schools Rod Paige, who later became George W. Bush’s Secretary of Education. Job evaluations were based on test scores, and scores went up. The same for graduation rates. One huge problem: the “test scores or perish” approach led to cheating citywide. Students expected to score low were encouraged to leave the public school system, or were held back from a testing grade that year, only to be promoted past that testing grade the next year. Another problem with “The Texas Miracle”: at-risk students were ejected from the school system to game the graduation rates. And the students affected most were those in poverty and in ethnic minorities. “60 Minutes II” covered this scandal back in 2004, and despite the harm done to students and “The Texas Miracle” being a sham, it became the national model for applying extreme pressure on producing high standardized test scores. NCLB has been largely discredited, but its failed approach has actually intensified under the Obama Administration despite leaving only a wide trail of misery behind. With high-stakes testing, with pretending that we can actually teach students out of poverty, we miss as a society the root causes of student poverty: economic disparity and stagnant earnings for almost everyone in a time of record national wealth and productivity. Opting-out is a way of showing the system and policy makers that high-stakes testing is wrong. The Oregonian has run yet another dim-witted education editorial demanding that the best things for our schools is more of the test-and-punish approach. That has not been shown to work anywhere, and is in the opposite direction of what other high-achieving nations do. China, for crying out loud, is modeling its schools on how the U.S. used to run schools. Less teaching-to-the-test, more expanded curriculum. When The Oregonian sniffs at parents doing what is best for their students, and ignorantly frets about the effects to schools, it ignores two major things: 1.) Opting-out is a legal right; 2.) High-stakes testing does not work to improve education. Why isn’t The Oregonian talking about high student poverty rates? Economic disparity? That, in a time of record national wealth and profits, people have been working harder with stagnant income to show for it? That the Federal government is setting a national curriculum though it is illegal for it to do so? High-stakes testing is like a hostage situation where the more we comply with the demands, the more the stakes increase. It’s well past time to break that cycle and put into place education approaches that are proven to work, not what some business person put on a slide somewhere as a neat idea to give a whirl upon millions of kids.